After finding out last-minute that a high-school friend was visiting Melbourne, a rushed breakfast catch-up was organised. Seeing as I didn't have anywhere particular in mind, we ended up at a small cafe on Equitable Pl which seemed like quite a popular pit-stop in the mornings. 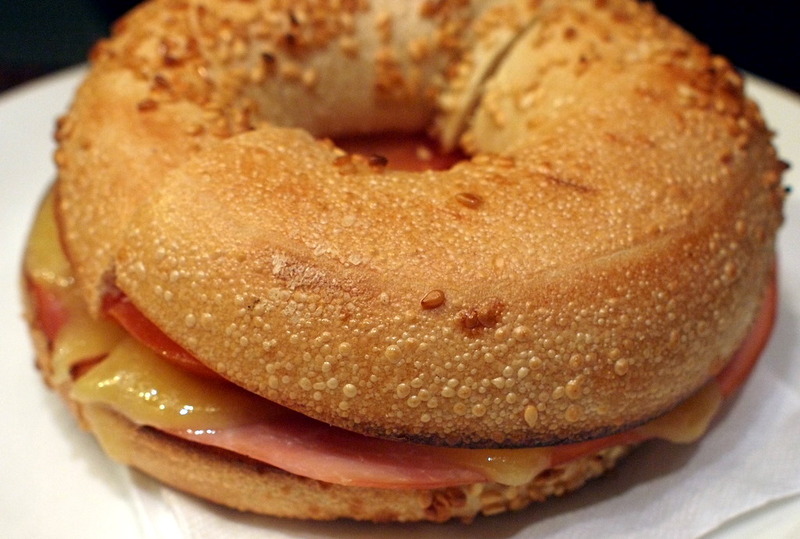 Brown Bagels, as the name suggests, serves primarily bagels. They have quite an extensive selection, ranging from the plain, to ones with simple spreads such as Nutella and cream cheese, to the more ornate lunch-type bagels (salmon, ham, turkey etc.) and even what appeared to be a dessert bagel of honey and almonds. 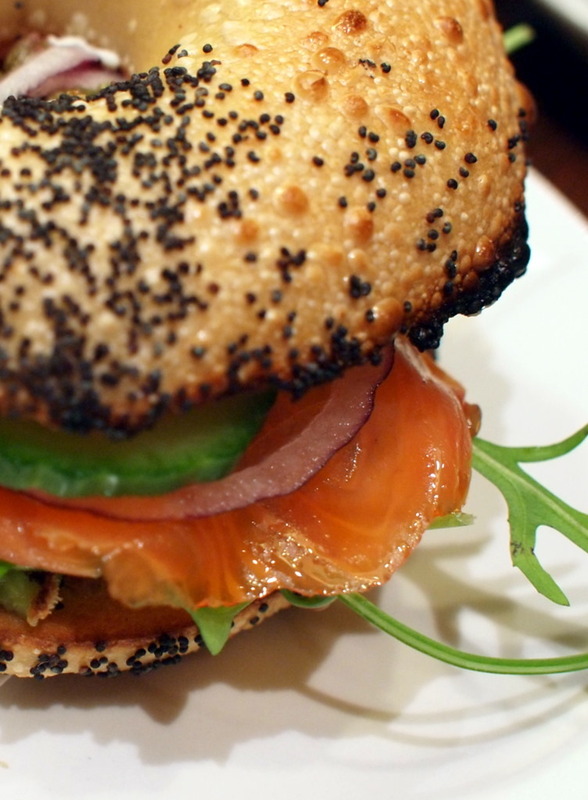 I settled for my standard Salmon/Cream Cheese order (with avocado, capers, red onion and roquette), while my friend chose a more breakfast appropriate Ham, Cheese and Tomato bagel. While the bagel was filling, it was only moderately tasty. In all honesty, I'd rather pay the extra $3, and wait an extra 10 minutes, for the amazing bagels from Manchester Press. The waitress also forgot to cut my filled bagel in half, which made eating it a bit harder, but I guess you can't win them all. Don't get me wrong, this is still a good place to pick up a quick and easy breakfast, but there are better bagel-ries around if you've got the time to spare and are willing to spend a little extra.